Home > Featured > Future of Ireland and EU – a choice, not a chance. Future of Ireland and EU – a choice, not a chance. 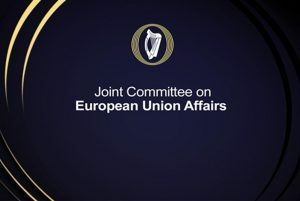 The European Union has to become a caring Union, looking out for the socially deprived, Social Justice Ireland tells Oireachtas Joint Committee on the Future of the European Union. The erosion of confidence in the EU can only be countered by addressing issues including the ongoing vulnerability of many EU citizens, the protection of small member countries against larger members, and social issues such as care for people living in poverty or social exclusion and young people who are unemployed, Social Justice Ireland said in a submission to the Oireachtas Joint Committee on European Union Affairs on Wednesday. “So many people in Europe see the EU as a faceless machine, out of the control of its citizens, which keeps dismantling the protective fences that used to protect the vulnerable, that keeps disciplining the nation states when they try to protect their citizens,” said Fr Sean Healy, CEO of the think tank and justice advocacy organisation. At the beginning of March 2017, the President of the European Commission, Jean-Claude Juncker, presented a White Paper setting out the main challenges and opportunities for Europe in the coming decade. It presented five scenarios for how the Union could evolve by 2025 depending on which scenario it decided to choose. These included continuing more or less with the status quo or allowing certain countries who want to, to do more together (leaving others behind), or just having the single market, or ‘Doing Less More Efficiently’ – focusing limited resources on selected policy areas, or finally doing and sharing more together where member states decide to share more power, resources and decision-making across the board. The five options set out in the White Paper are assessed in terms of what the Commission sees as key policy challenges facing the EU but “there isn’t a single reference to the social implications of these scenarios anywhere in this assessment,” Fr Healy told the Oireachtas committee. “The future of Ireland and the future of the EU is a choice, not a chance. The Irish Government should reject all five options in the White Paper and opt instead for Option 6,” concluded Dr Healy.